Are you pulling your hair out trying to get the kids to do their chores? Have you lost your voice from repeatedly telling them to clean up? Let’s face we all have those chore battles and anything we can do to stop them, I’m all ears. 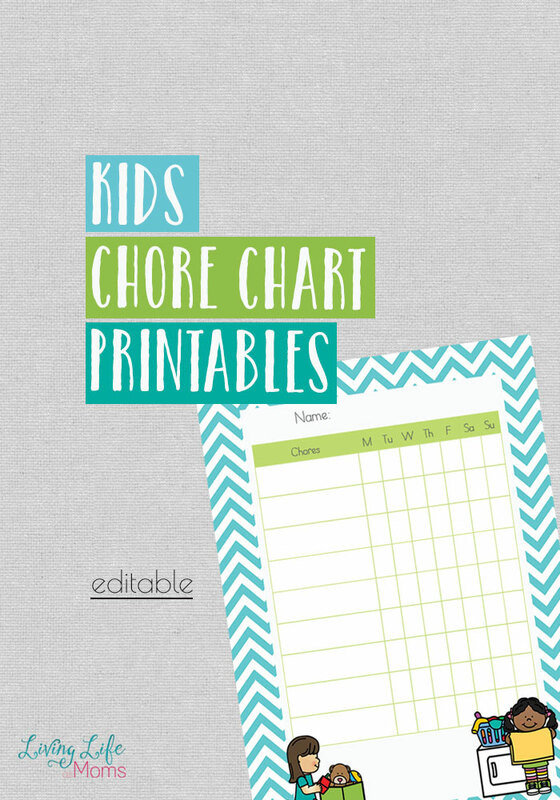 Enter the printable kids’ chore chart. Yes, get yourself a chore chart for each child. No wifi or screen-time happens before the chores are done. We homeschool so school work has to be done before anyone has any screen-time. Each child can have their own chart and while I would love to say this will be the key to your chore battles it’s not. You need to implement a system and then be sure to be consistent with it. We all know how excited to try something new and then it can sizzle and we go back to our old ways. Chores require routine and a schedule and because I hate repeating myself over and over again and a system to let the kids know what their jobs are. It’s a quick visual way for them to see what needs to be done and to check off what they’ve already completed. Print these out and laminate them or place them in a page protector and have your child mark the tasks as they complete them. You can even place magnets on the back and have them use magnets to mark what they’ve completed. If you need more than a printable to help with your chores than take a look at these wall charts. Don’t want to make your own? 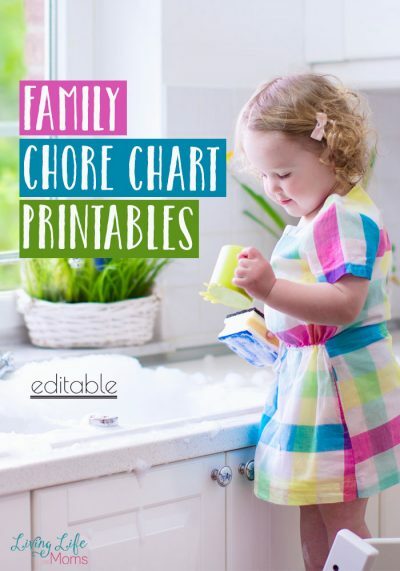 Try one of these that you can purchase and hang it in a family area so your kids can keep track of their chores and you can ensure that it gets done. The other printables in this series – Free Organization Printables for Busy Moms, are a must-see as well.